Doc, my non-identical twins, a boy and a girl, have facial twitches that mainly involve eyebrows, nose and lips. It started around 2.5 months of age. Facial tics certainly did not occur before they attained 2 months of age. Twitching of the face occurs when they awake and are falling asleep. The tics do not seem to bother them and they carry on with what they are doing. My son's right foot shakes when I pick him up but again does not bother him. Facial twitching also known as facial tics occur due to rhythmic involuntary contraction of the muscles of the face; usually the muscles around the eyes. 1 in every 4 children experience tics at some or other time during childhood, which usually wane off spontaneously. Boys are more commonly affected than the girls. Usual age of onset is during toddler and early school years. It is the time when children go through emotional turmoil such as stress, insecurity and separation anxiety, which have been linked to transient tic disorder of childhood. 1. Could 2 months old infants be going through such emotional stress? I have no studies to support my answer, but in my opinion it could be, especially in case of twins when a new mother is stretched for time, physically exhausted and emotionally drained after numerous sleepless nights. Genetic predisposition to seizure disorder is now strongly supported. It typically presents as well defined pattern of involuntary muscle twitches during light sleep phase that lasts from 5 seconds to 5 minutes. It is therefore often mistaken for disturbed sleep of a child. EEG is often found to be normal in these cases, which further confuses the diagnosis and delays timely optimal medical management. (ii.) Idiopathic partial epilepsy: As the name signifies, cannot be attributed to any known cause; no identifiable underlying disorder of the brain, no specific abnormal gene expression and no accountable familial history of similar disorder. There are several types of idiopathic epilepsy, each with different age of onset, different pattern of presentation and specific EEG findings. It is a benign type of childhood epilepsy, which presents as brief episodes of facial twitching. The twitching may also be noticed on arms. The prognosis in these children is good, often even without any medication. •	Facial twitching is a new development after 2 months of age. •	It can neither be initiated nor stopped external stimuli. •	It does not migrate to other parts of the body. •	Both infants are otherwise in good health, which makes them fall under the criteria of unprovoked seizures. Unprovoked seizures usually occur in more than one month babies. The development of tics does not have any acute sickness that precipitates abnormal involuntary movements in an infant. It is rare disorder, with incidence of about 0.05%. One third of these cases could have some underlying brain injury or abnormality. Get a good professional evaluation done by your local Pediatrician. 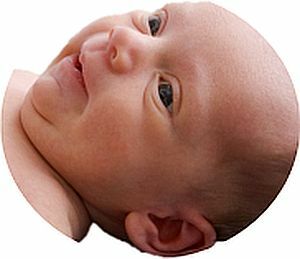 Hopefully your babies may not need any treatment for the facial tics, but it is wise to rule out any underlying abnormality and prevent delay in appropriate medical therapy if so required. My twin son and his sister were born at 32 weeks. My son developed a facial twitch on right side of face and it continues today. He is 38 . I did not think it was serious and he has been healthy all of his life. Is there a name for his condition? This is so normal case in the newborn infants. There is no need to worry about it. It is a part of development in the nervous system of the baby. It is normally showing that the baby is so upset. So be cool and you are not satisfied just visit a good paediatrician. Just wanted to write an update, they are both doing well and have developed normally physically and cognitively.